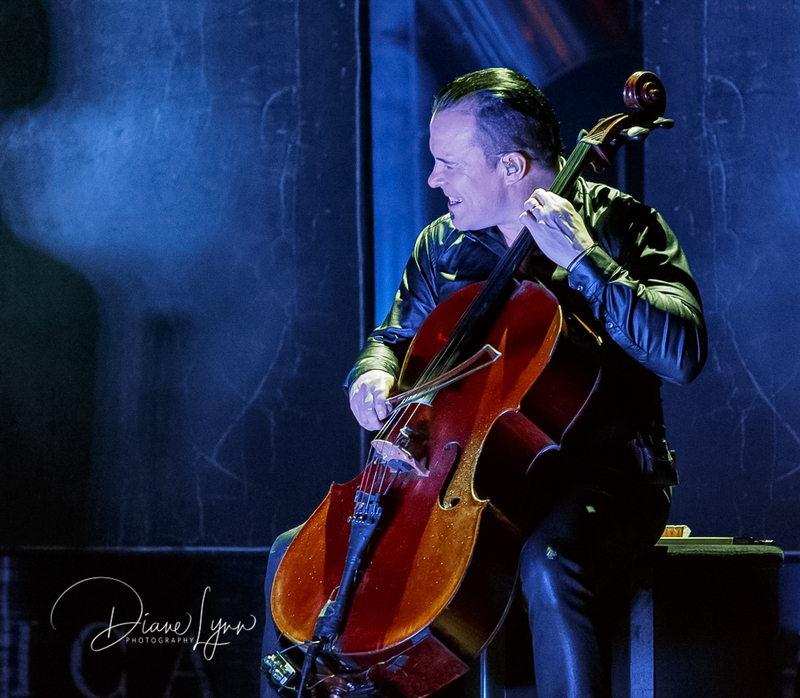 Riverside Live Theater – Riverside, Ca. It was a rockin night in Riverside this past Friday. 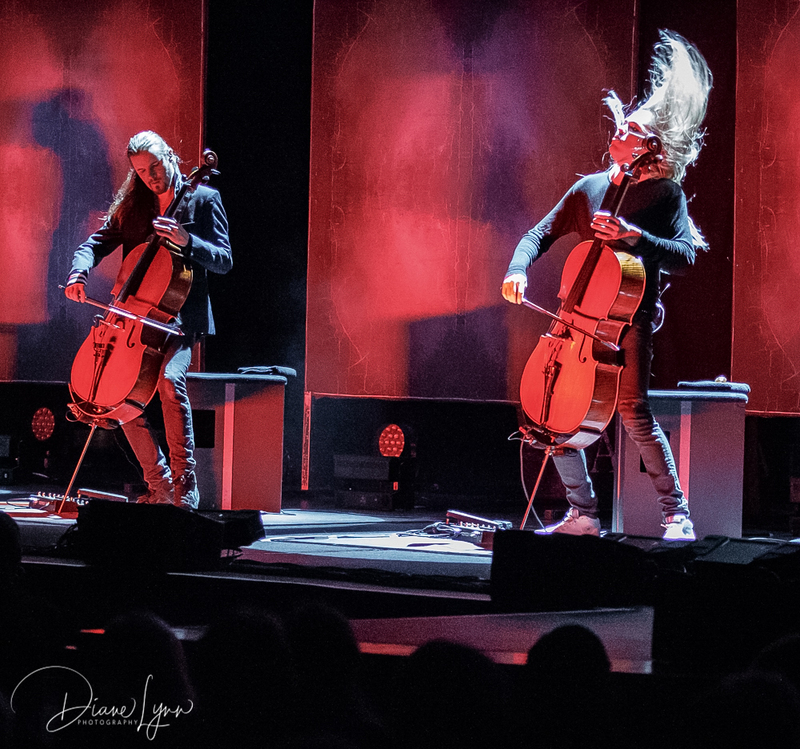 Head bangers traveled from near and far to hear four incredibly talented Cello players, wait, what?! 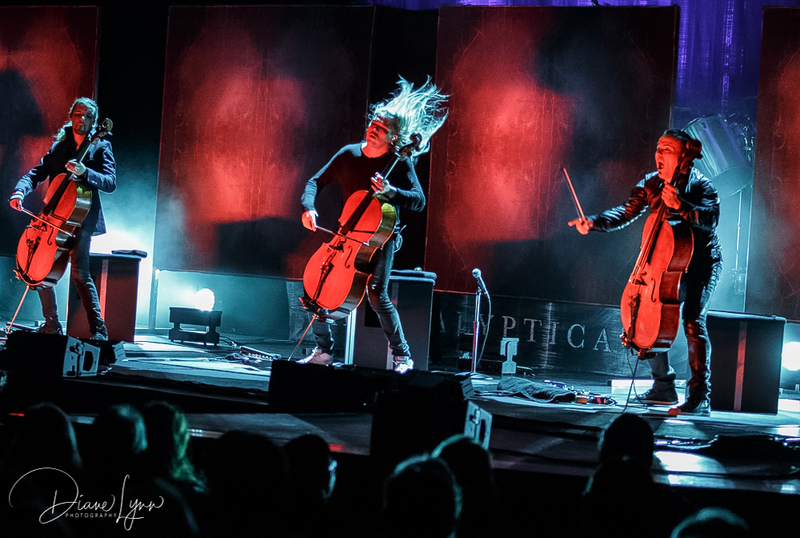 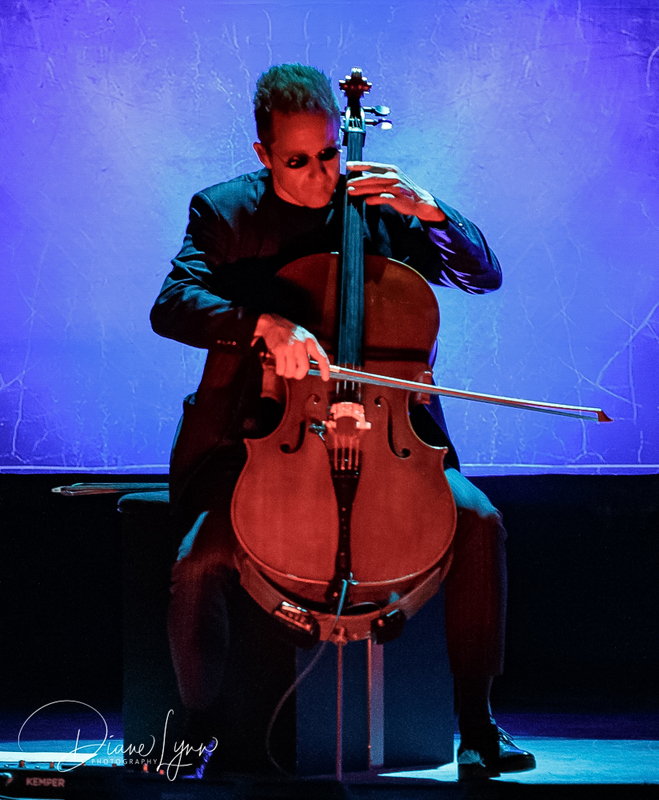 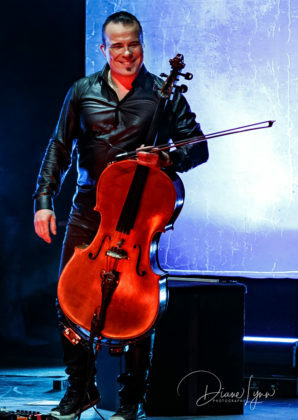 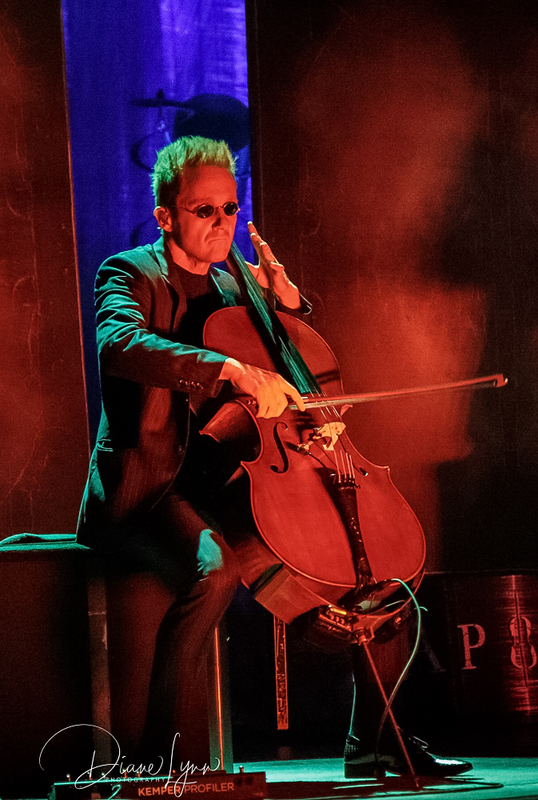 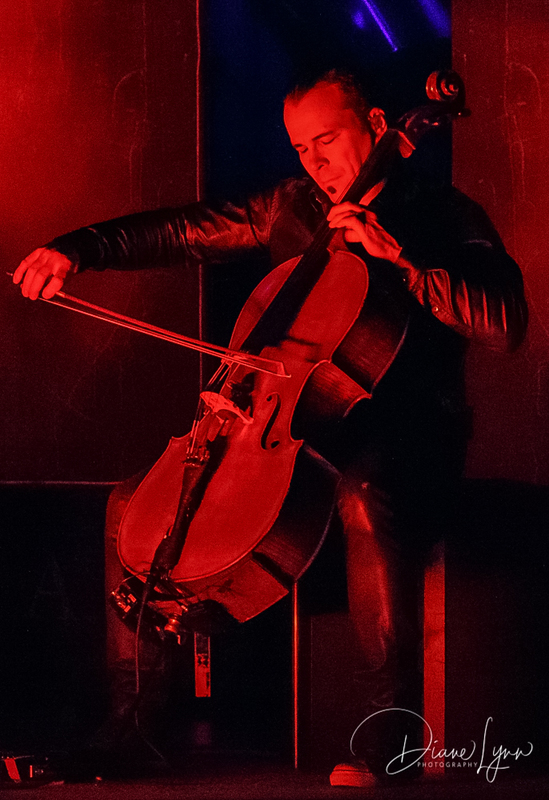 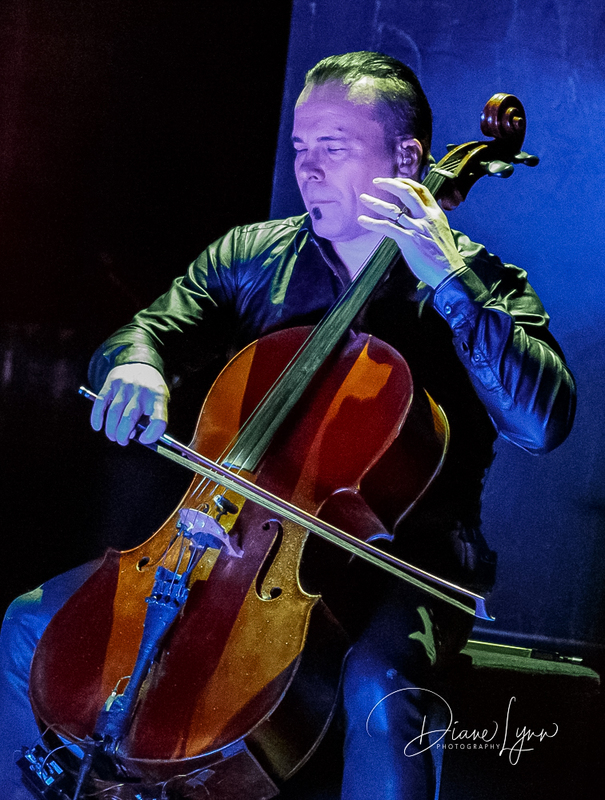 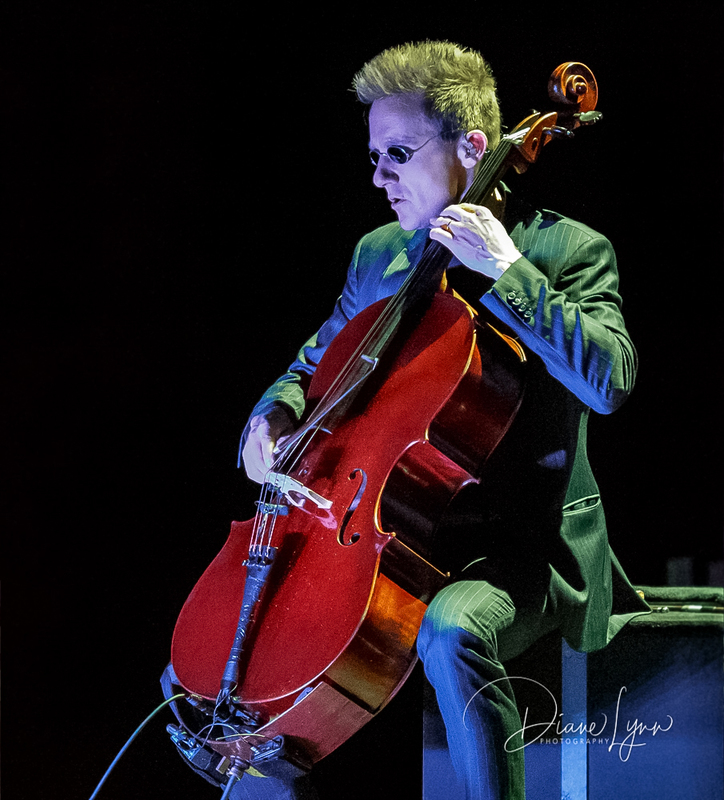 Riverside Live Theater opened its doors to the amazing Apocalyptica! 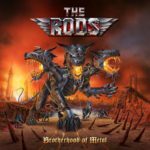 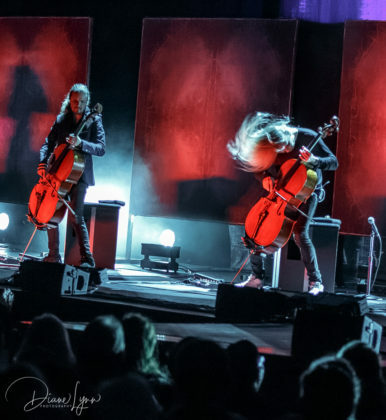 Labeled as Symphonic metal/Cello rock, this is a group of four cello players (and a drummer) from Helsinki, Finland who happens to love the music of the legendary heavy metal group Metallica. It was about 25 years ago that a group of four classically trained cello player’s got together and decided to change it up a little bit. 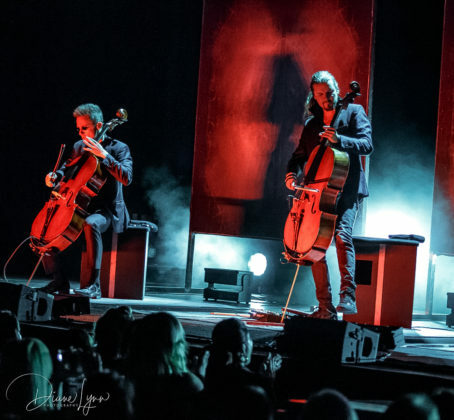 Although they were studying classical music (three of the member are graduates of the Sibelius Academy in Helsinki) their love of heavy metal music would soon take them touring around the world and creating a legion of long time and very loyal fans. 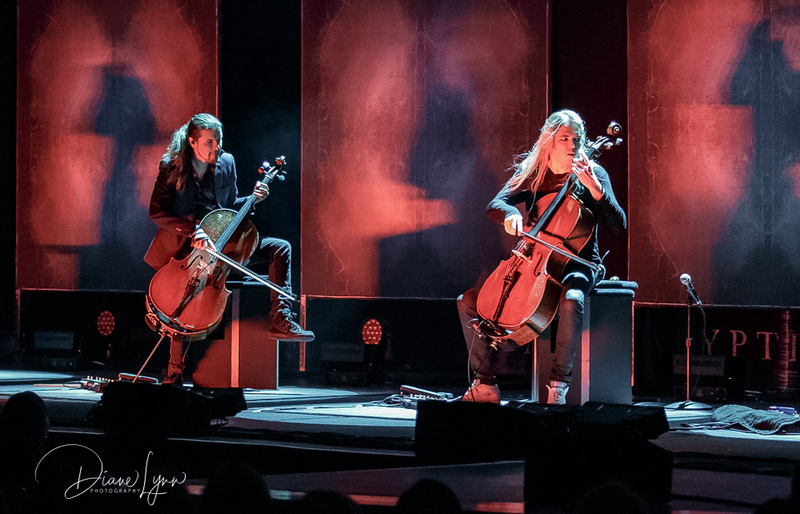 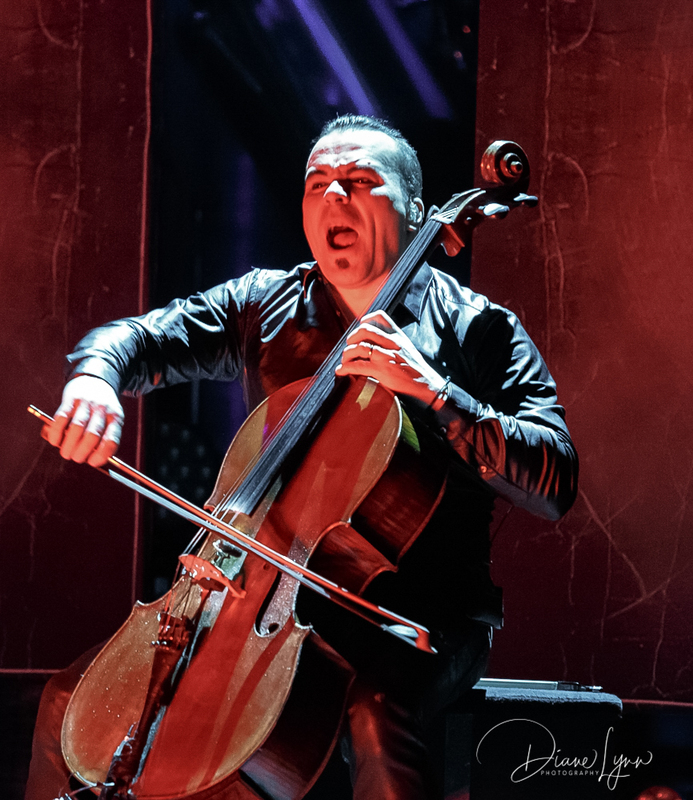 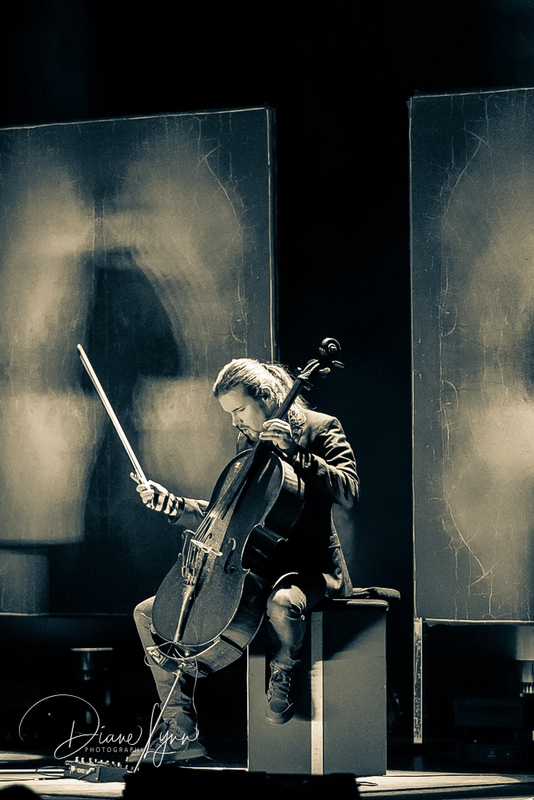 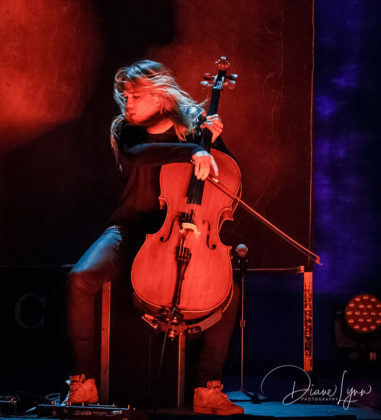 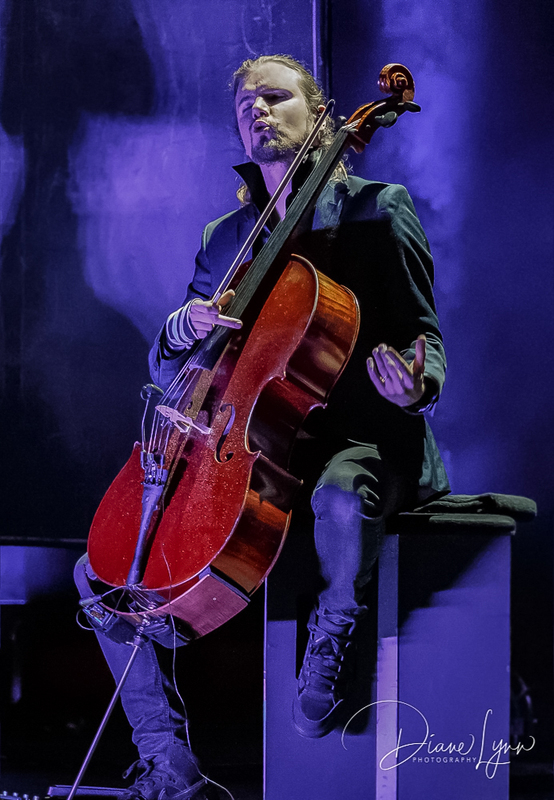 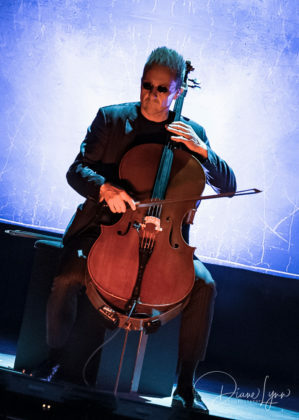 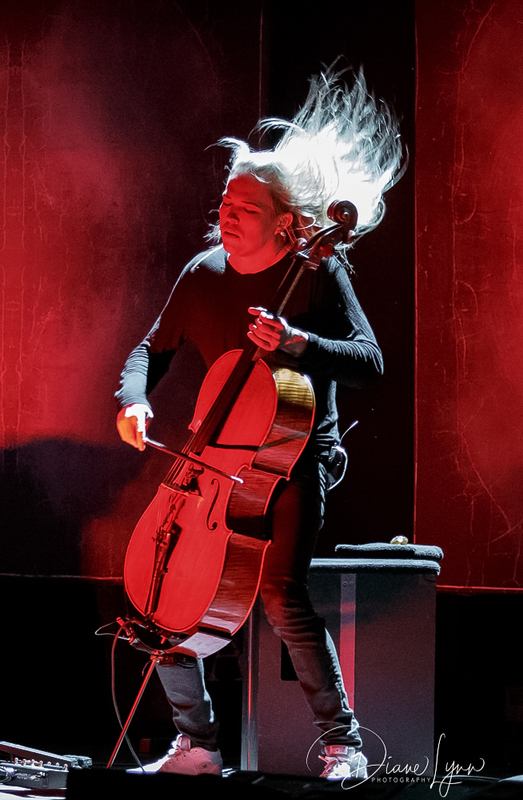 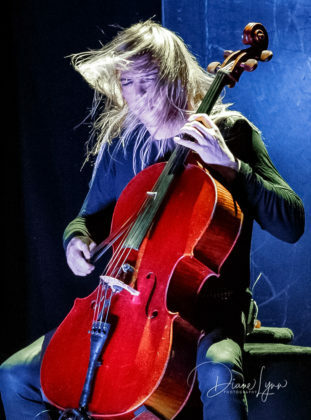 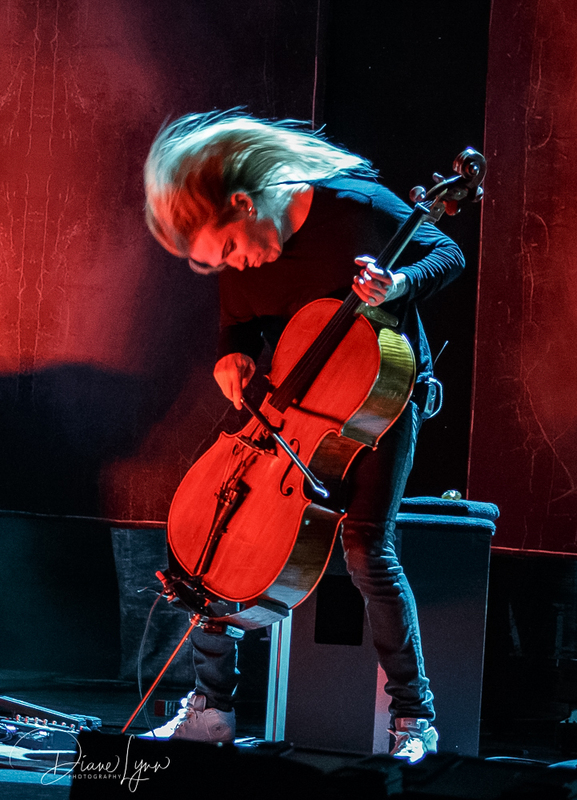 When I first came across Apocalyptica I thought “this can’t be right, four cello players sitting on stage playing Metallica songs”, it was mind boggling to me but my curiosity told me I had to see this show! 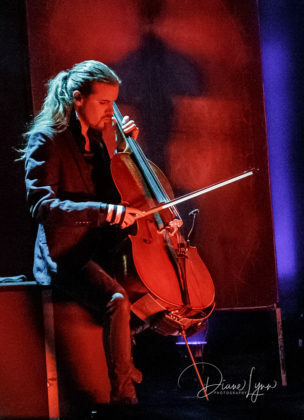 I normally do a bit of research on the band I’m covering, especially one I haven’t seen before just so I know a little of what to expect but with a busy week prior I could only fit in one short clip on YouTube but as I soon found out, it really didn’t prepare me for the show I was about to see! 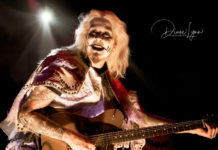 I arrived at the theater just a few moments before the doors opened and there was a line steaming down the street and around the corner, it was a crowd of young and old alike, most were dressed in their metal/rocker wear that included Metallica and Apocalyptica shirts but all were ready to do some serious rockin’! 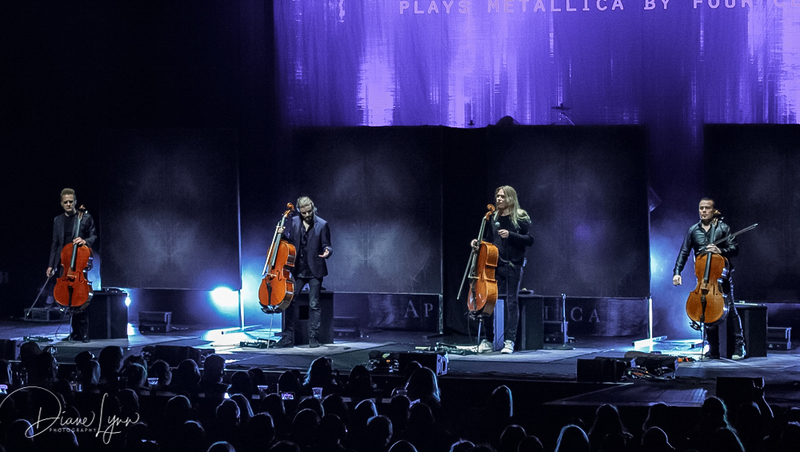 The lights went out and you instantly hear the first notes of “Enter Sandman” and it started us out on what was to be an amazing rock show! They played two sets with a short intermission in between. For the first half, they covered their own entire first studio album “Plays Metallica by Four Cellos” released back in 1996, then during the break the stage was reset which allowed them to unveil the massive drum kit that had been kept hidden in the back. 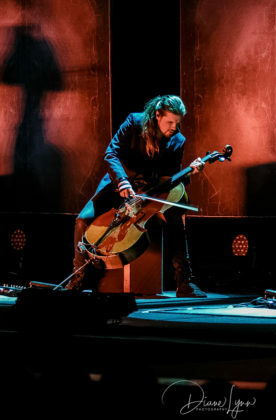 Once the second half began they proceeded to blow the roof off the theater, playing classic Metallica such as “Fade to Black“, “For Whom the Bell Tolls” and “Seek and Destroy“. 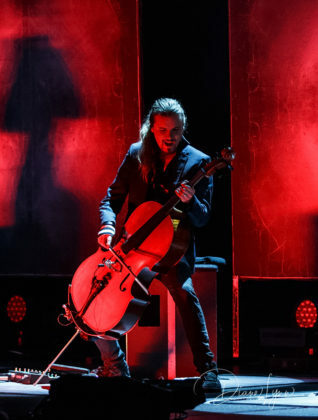 It was a non-stop Metallica rock-fest. 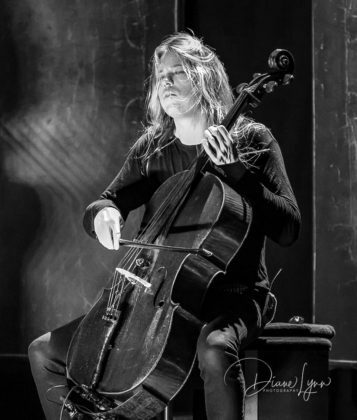 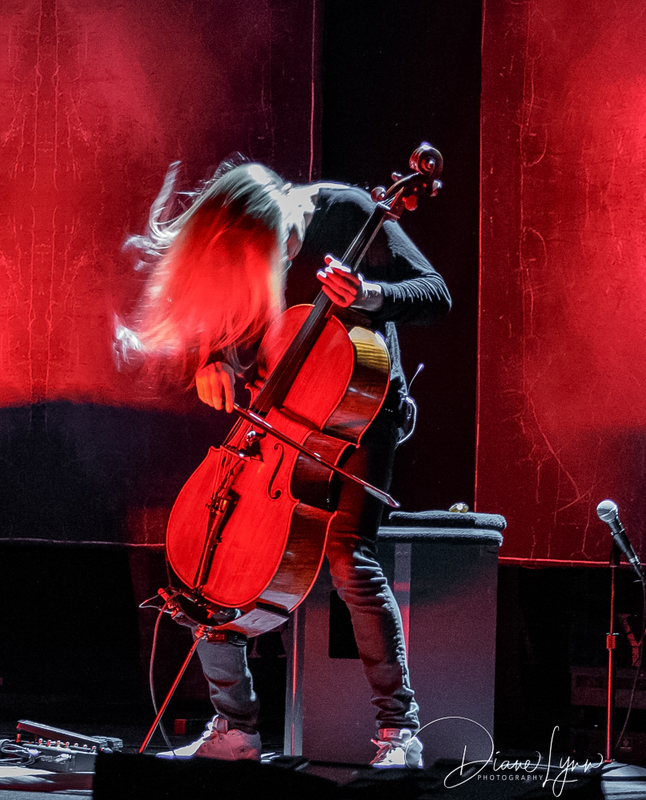 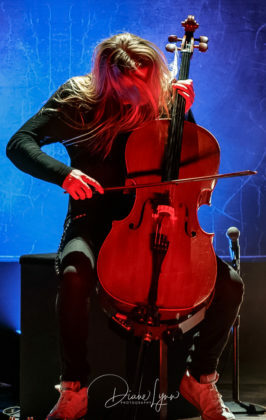 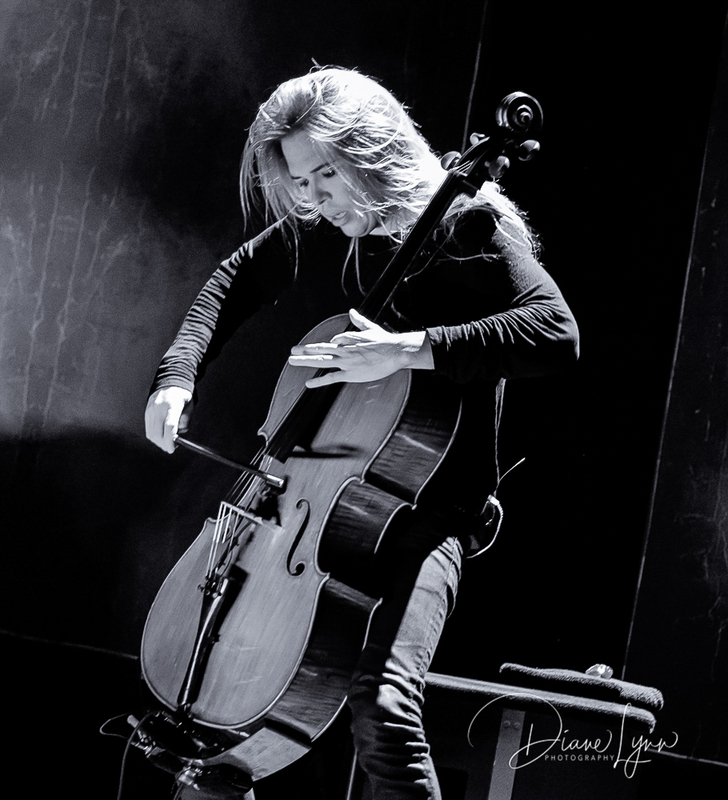 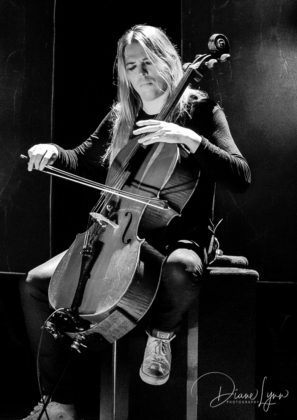 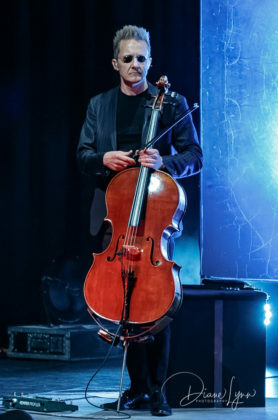 Founding member, Eicca Toppinen did take a moment to briefly reflect on the past 25 years that Apocalyptica have been playing together and shared a few tidbits with the fans such as, the first Metallica song he ever heard was “Orion” which they played for us this night. 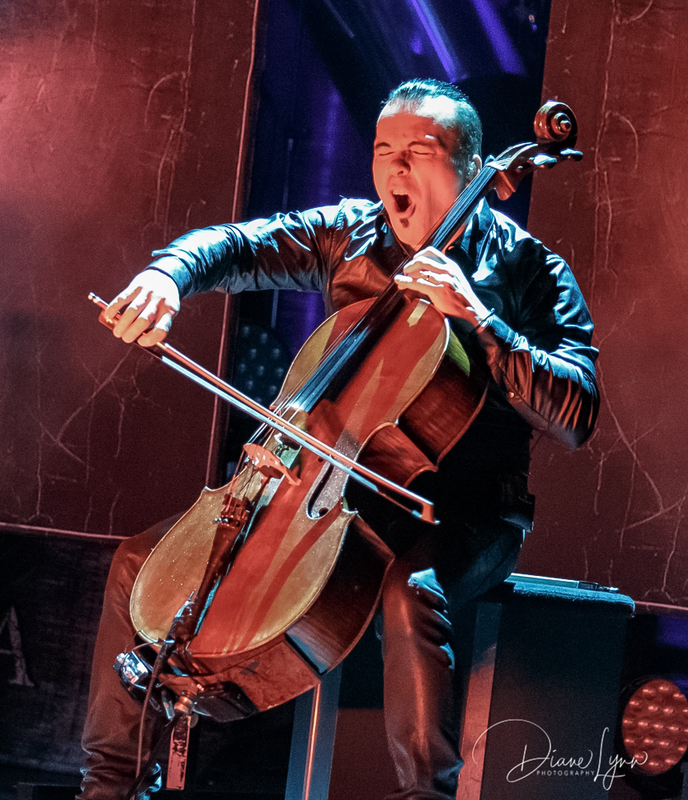 But the very first song Apocalyptica ever played as a group was “Escape“, not a choice one would expected and one that he said Apocalyptica hadn’t played since 1993 and they then proceeded to play it for us, perfectly. 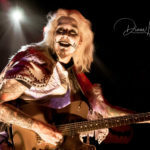 Although they have a vocalist listed (Franky Perez) he was not present on this night and instead the group was urging the crowd to sing along which they did hole heartedly! Apocalyptica have 9 studio albums, one of them being a remaster. 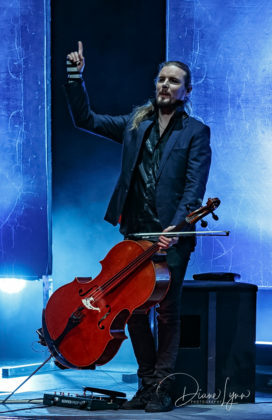 The fans this night were able to participate in singing a robust round of Happy Birthday to Perttu, as it was his 40th birthday. A large cake fully lit with candles was brought out to him on stage and it was birthday hugs all around from his fellow band mates. 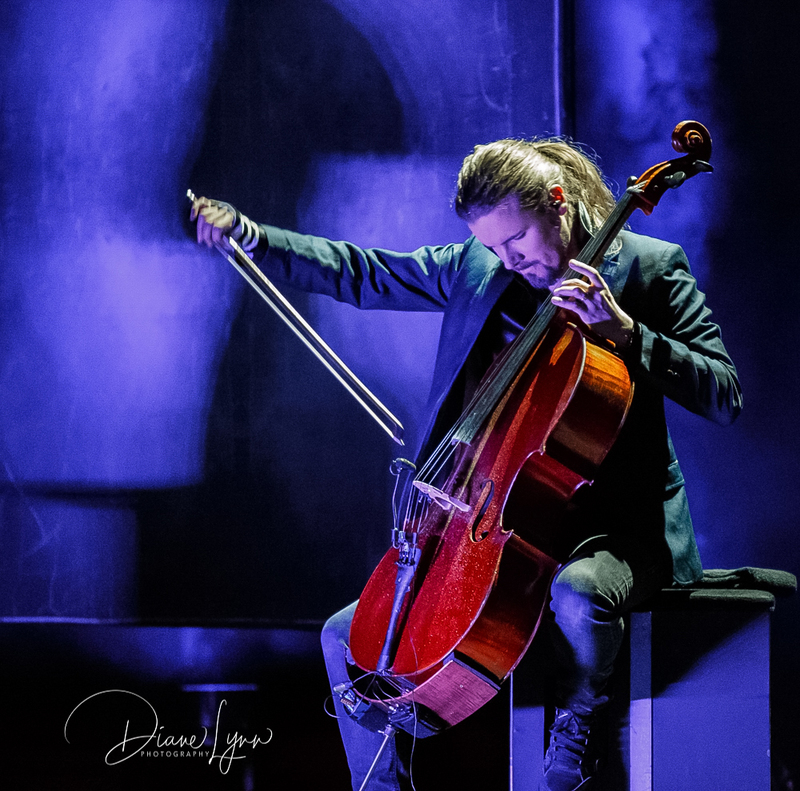 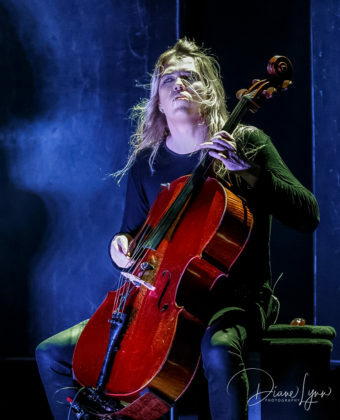 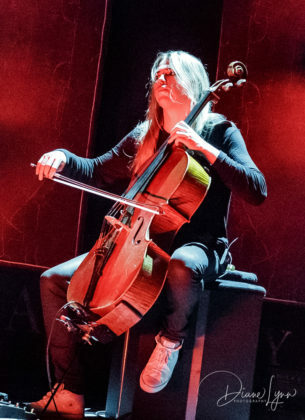 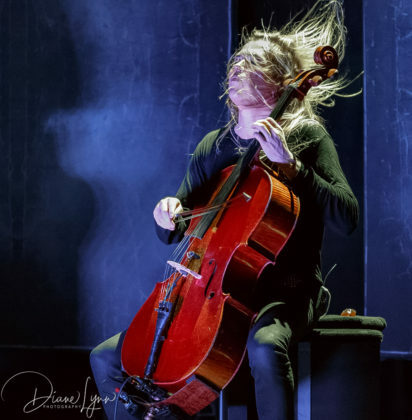 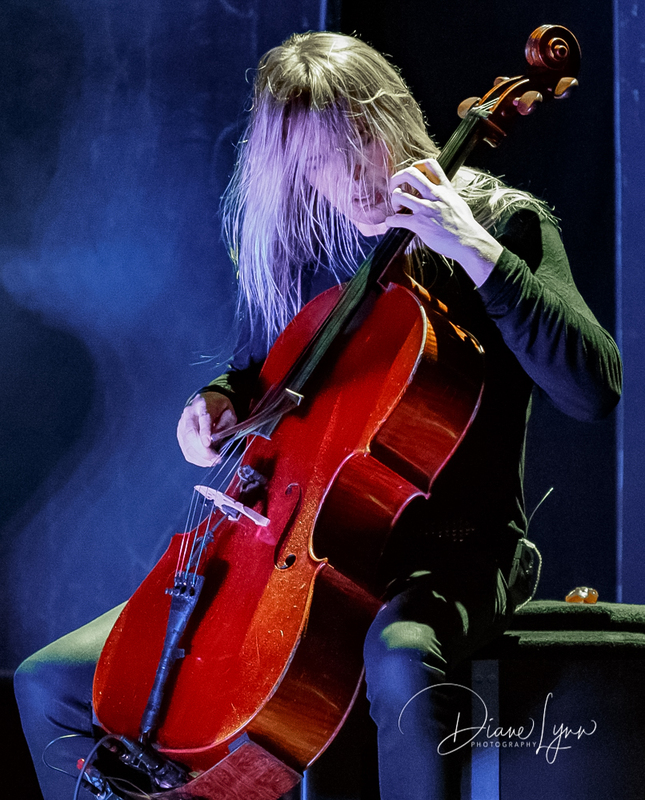 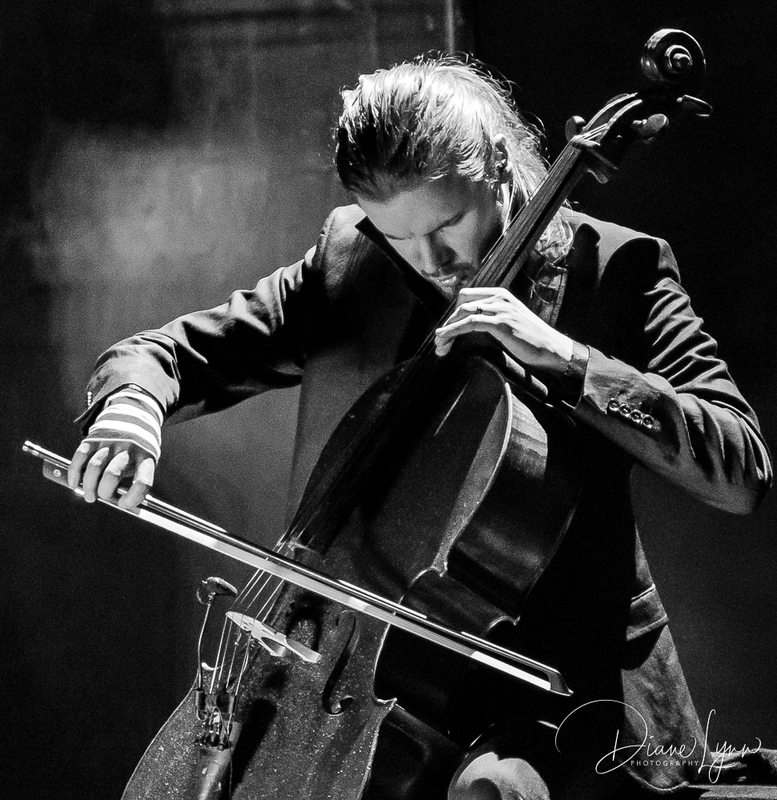 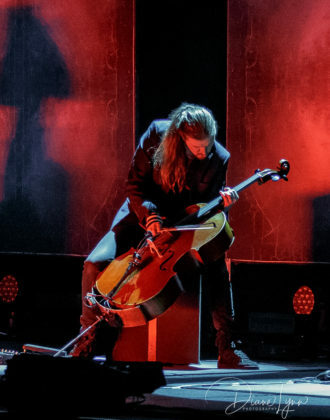 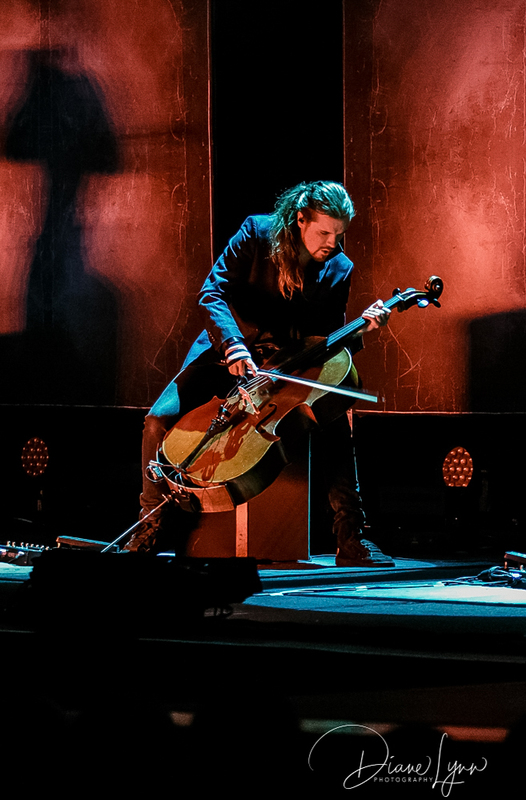 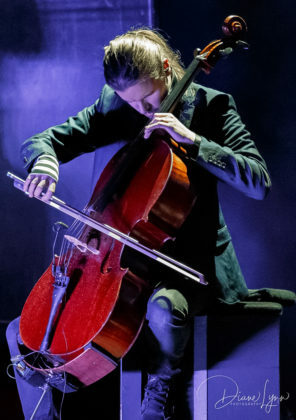 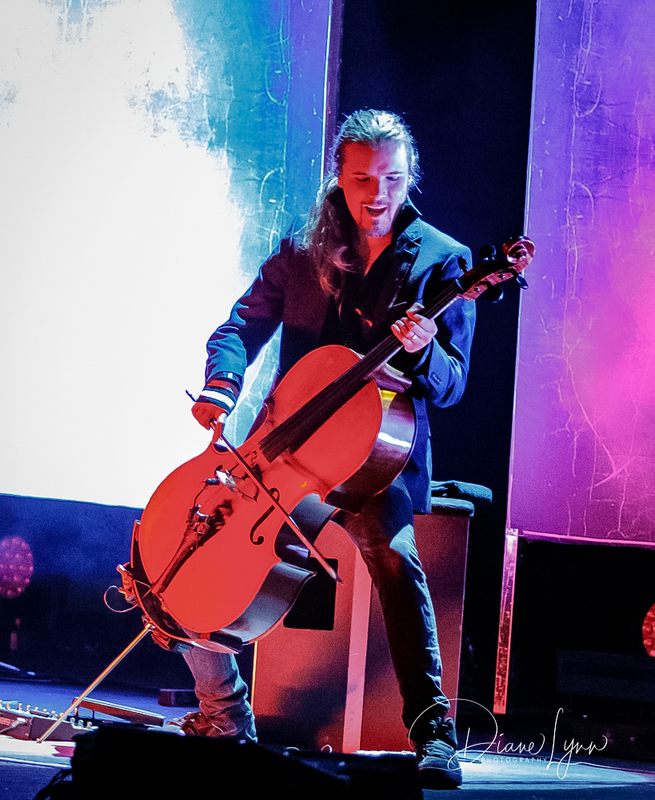 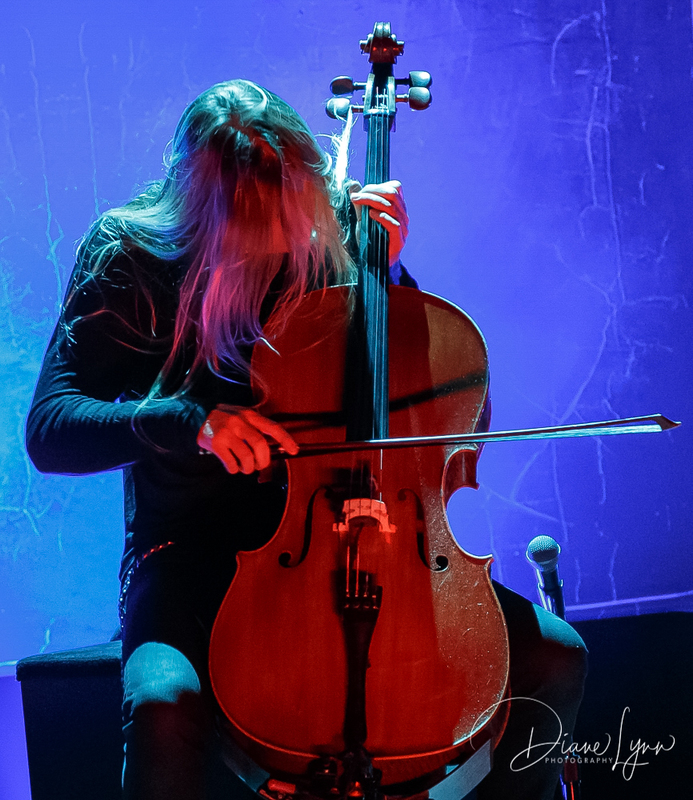 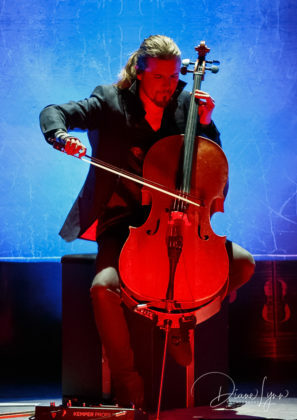 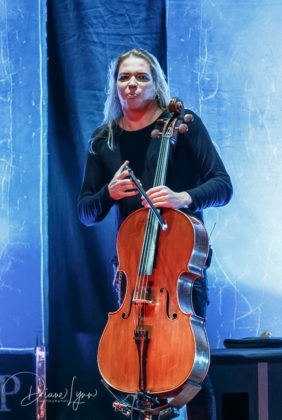 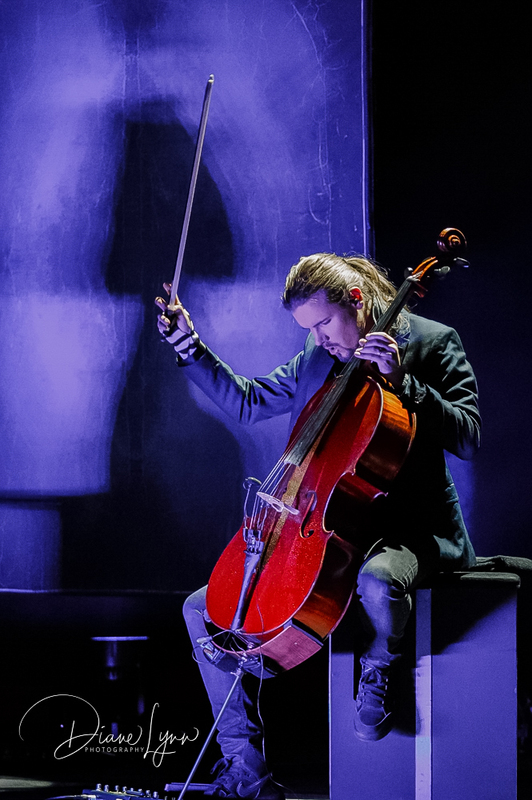 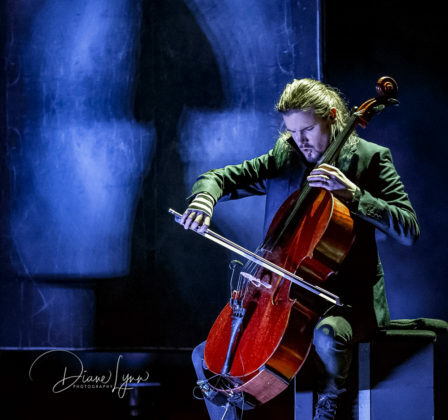 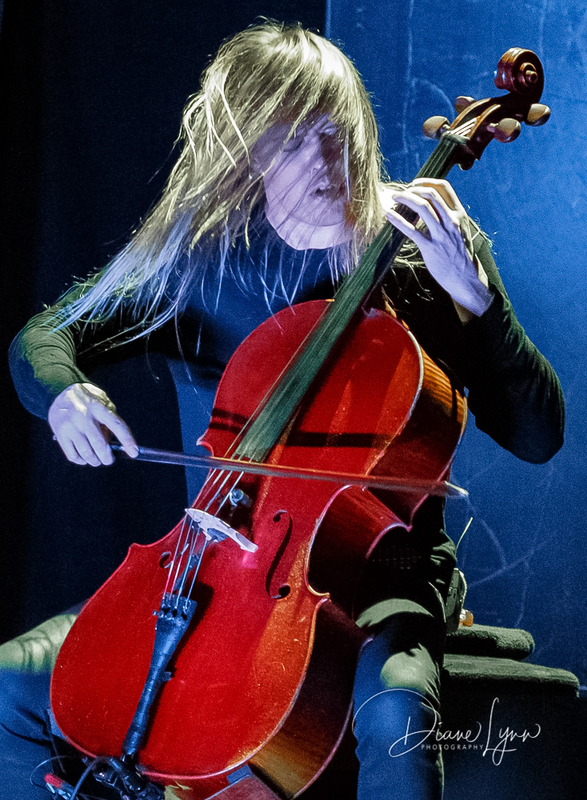 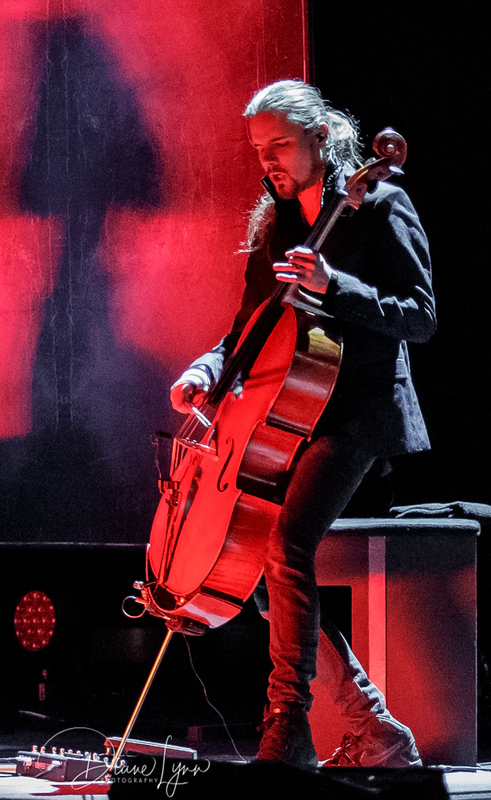 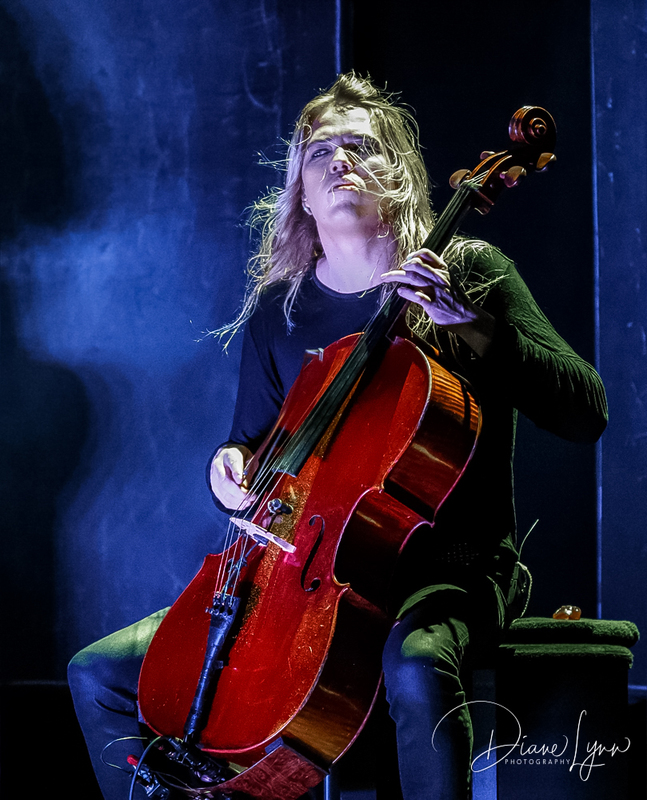 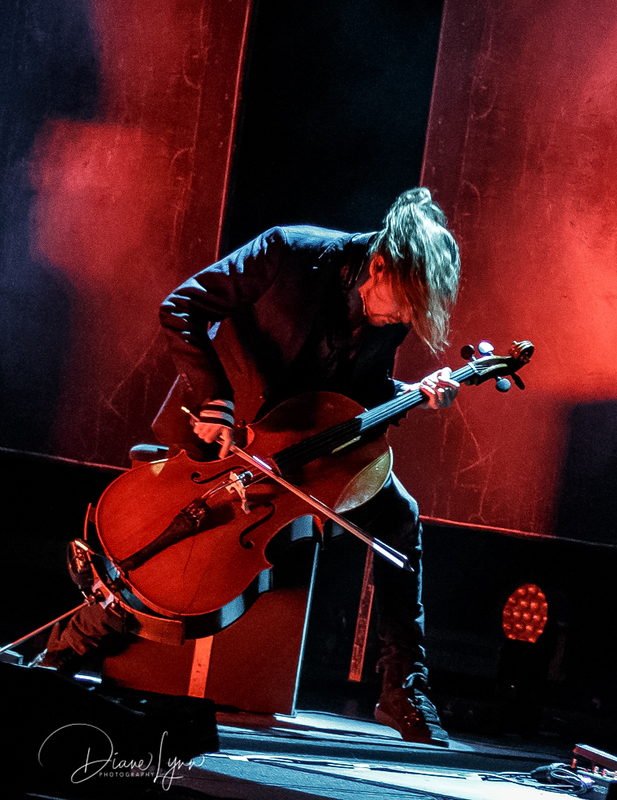 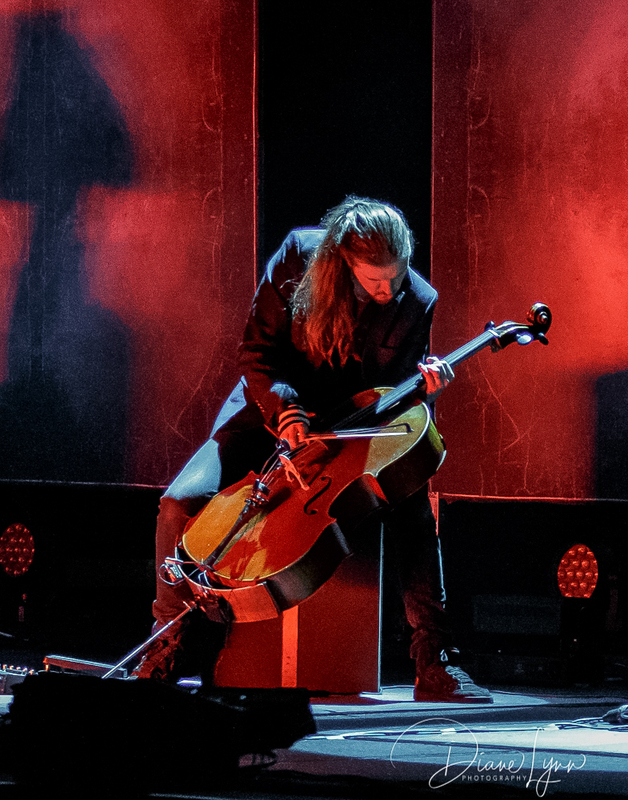 I’ve never seen anything like the show they performed, Perttu rockin the cello so hard he got down on his knees holding the cello behind his head all while pounding out the song “Seek and Destroy“. 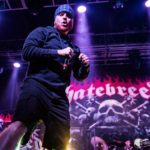 The crowd stood the entire second half with fist pumping to every beat. And after the final song they were waiting for the encore. 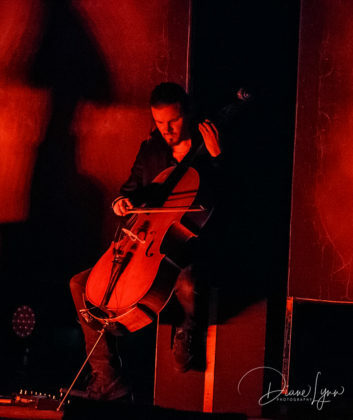 I don’t recall seeing a single person leave until the house lights came on and even then they still wanted more. 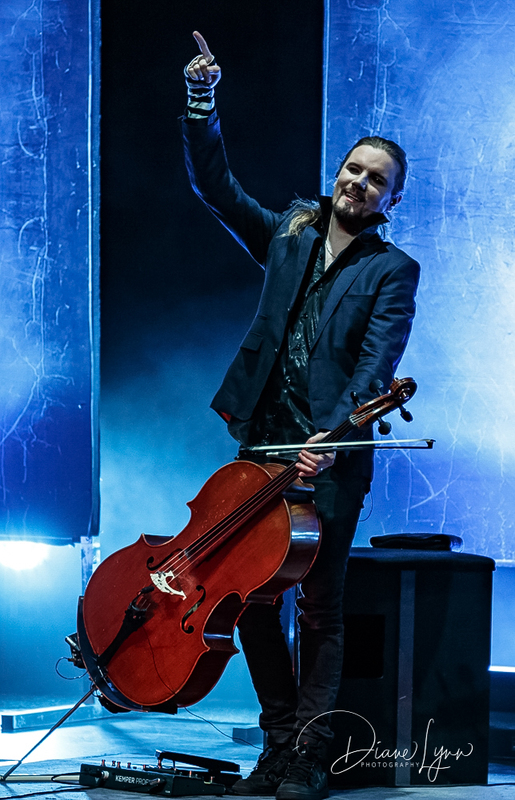 The band members took their final bow and instead of immediately leaving the stage they hung around handing out set list, drum sticks, giving high fives with some lucky fans and even participating in a selfie or two. 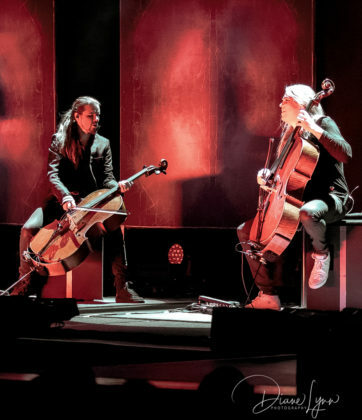 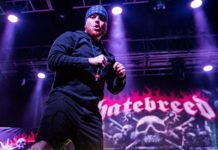 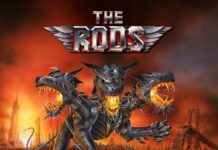 They are touring heavily 2018, with it coming to a close in September at the Aarburg Festival 2018 in Aarburg, Switzerland. 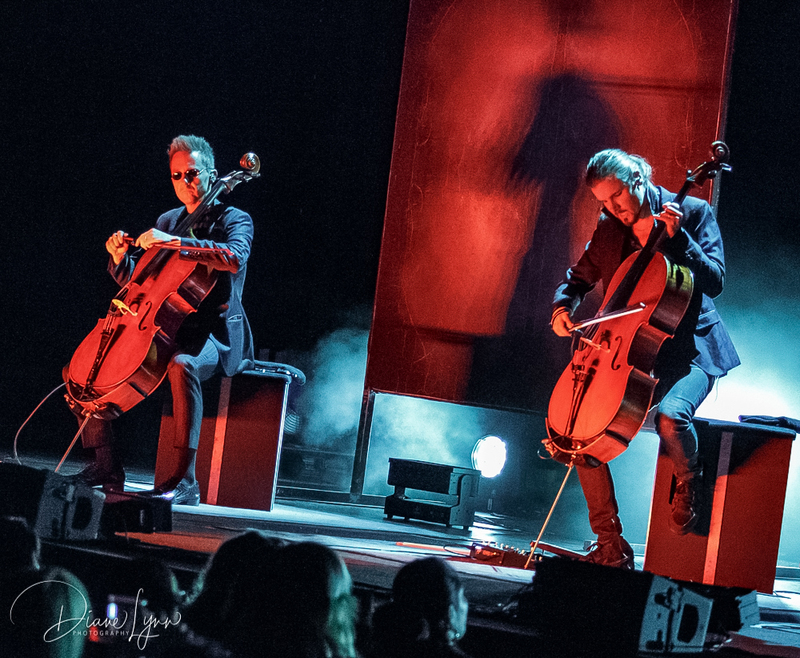 I’ll be keeping an eye on this group and the next time they come around I’ll be one of the first to get tickets!